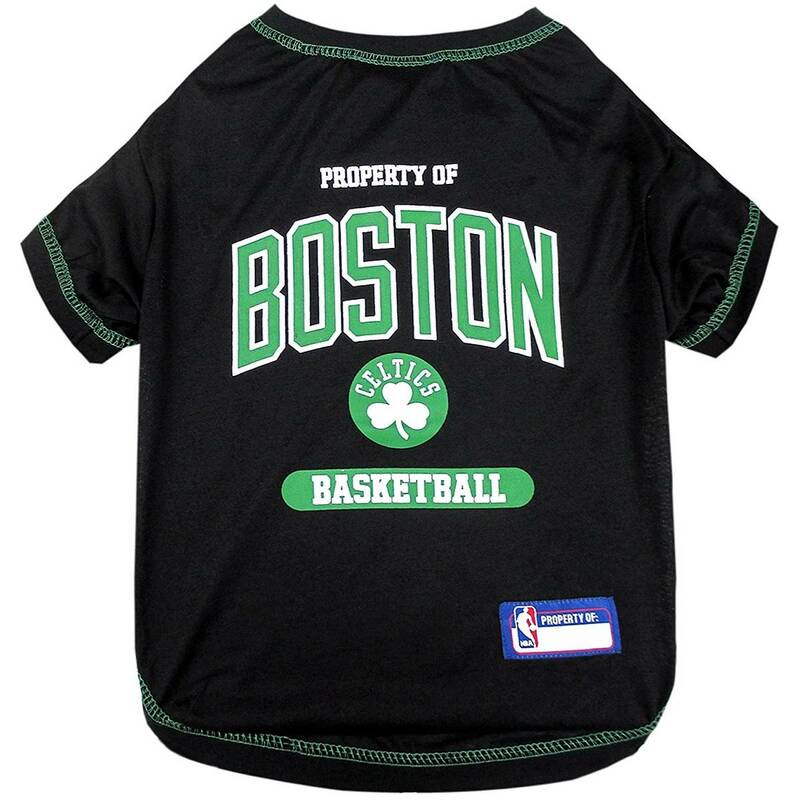 Get your pet into the game with this officially licensed NBA pet t-shirt designed with the Boston Celtics team colors and logo! Get your pet into the game with this officially licensed NBA pet t-shirt! Designed with the Boston Celtics team colors and logo, this t-shirt features a contrasting top stitching and a woven NBA shield jock tag.